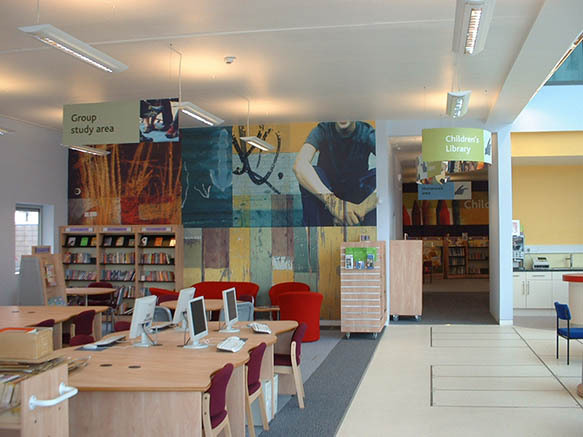 An imaginative interior design for a community library at the heart of an important community learning facility. 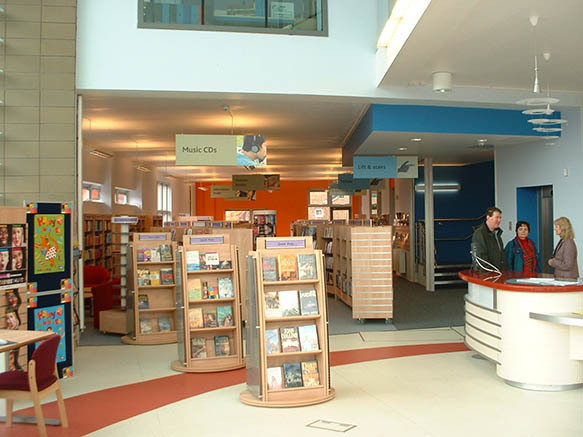 Also a relatively rare example of a community library managing the direct provision of a college library service. 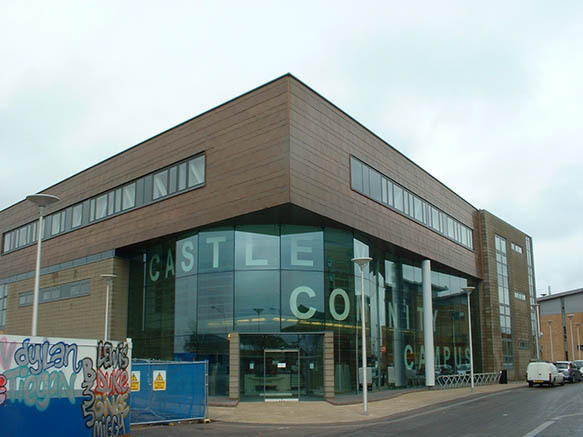 This new building is owned by Josiah Mason College, an FE college offering 100 student places a day for 14-19s on this post war estate rejuvenated by the Castle Vale Housing Action Trust over the past 10 years. 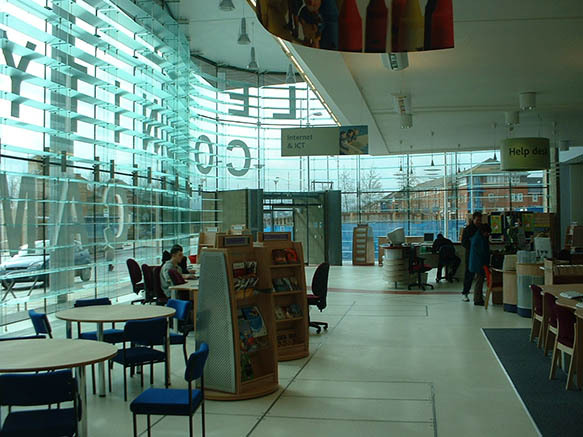 The community library will provide the college library resources in return for peppercorn rent. 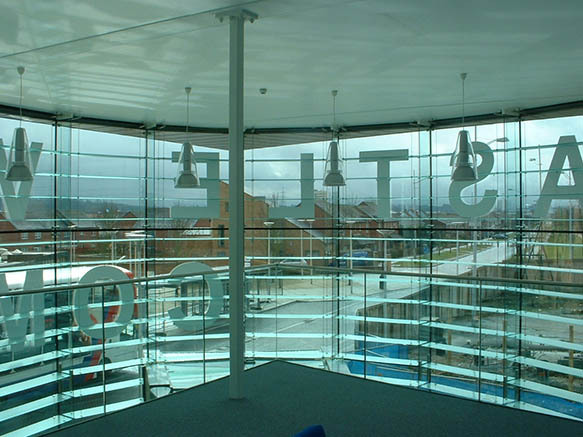 Other partners / tenants in the building are the city-run Neighbourhood Advice and Information Service, Castle Vale Tenats and Residents' Alliance, North Birmingham Credit Union and venture entreprise units. 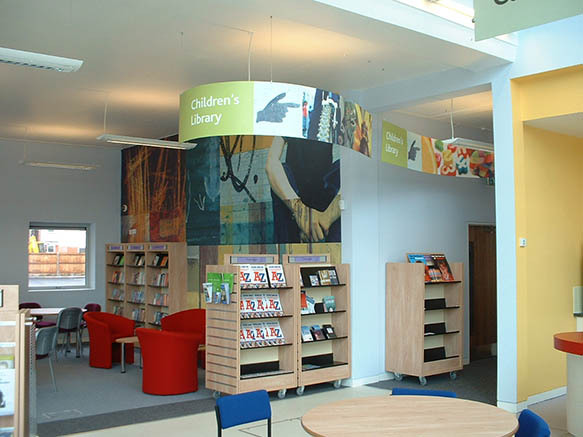 It's a very exciting community building with a single prominent entrance inviting all building users / customers through the community library to the other services. 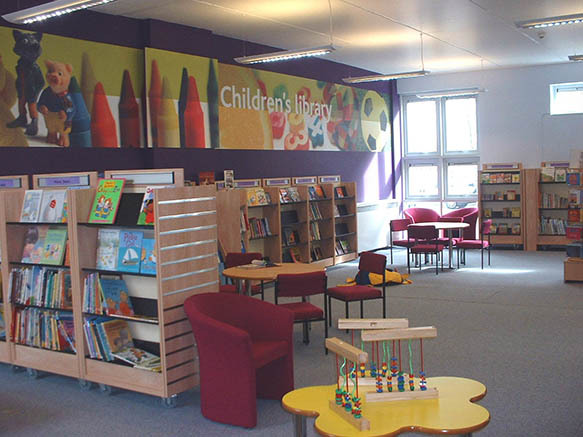 Features include a small open cafe in the library with drop-in internet, teenage area, children's library with dedicated homework space, group study and quiet study areas, and stunning signage designed by 'newenglish'. 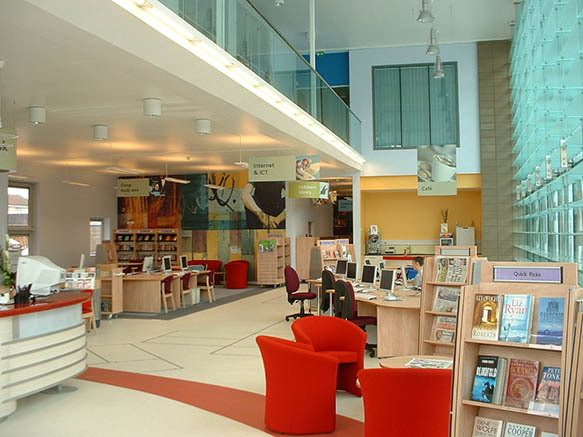 The essence is an open and welcoming service that provides people with comfortable, vibrant and visible space, providing the key features of a modern library service in a transparent and supportive environment. 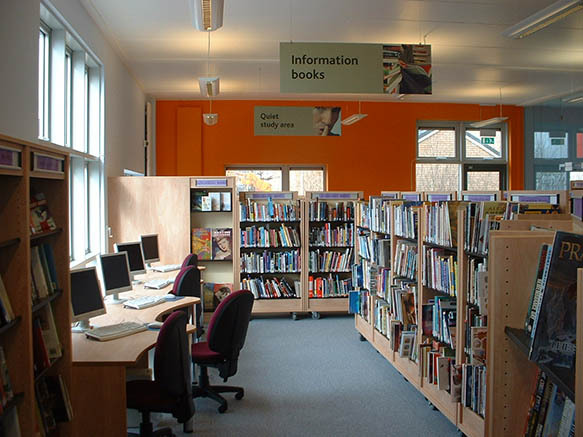 Opened 6 March 2006 - a case study for people interested in the proactive role that a community library can play in dual-use / colocation scenarios. 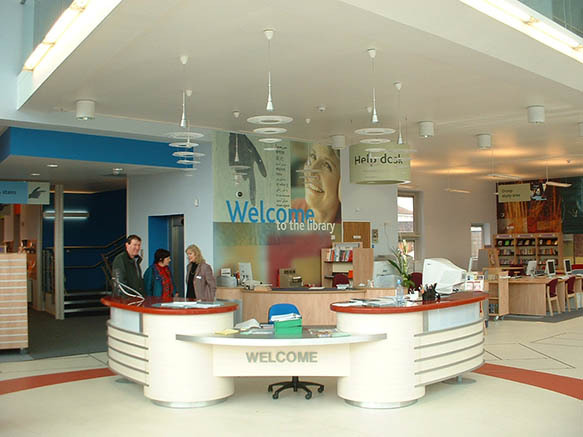 The college opens in September 2006.